Gonder Ceramic Arts TV Lamps. 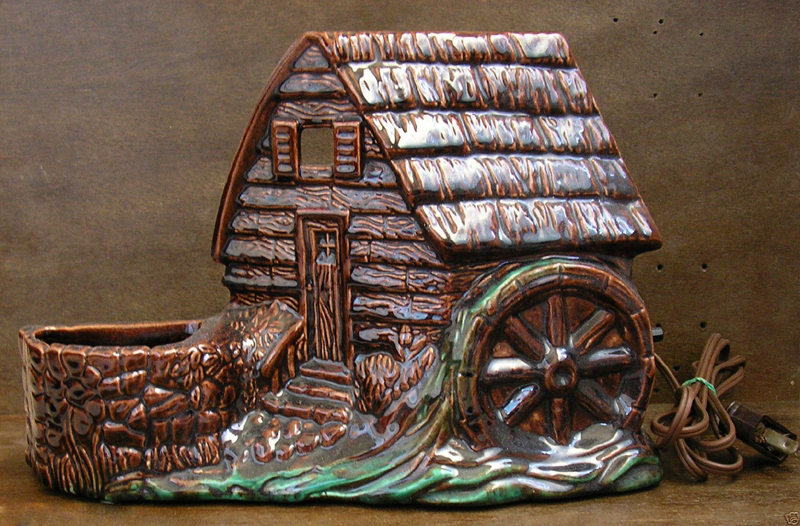 Gonder Ceramic Arts Inc. was one of several potteries located in central Ohio. The Zanesville company was founded by Lawton Gonder in 1941, and a line of high-quality products went into production. 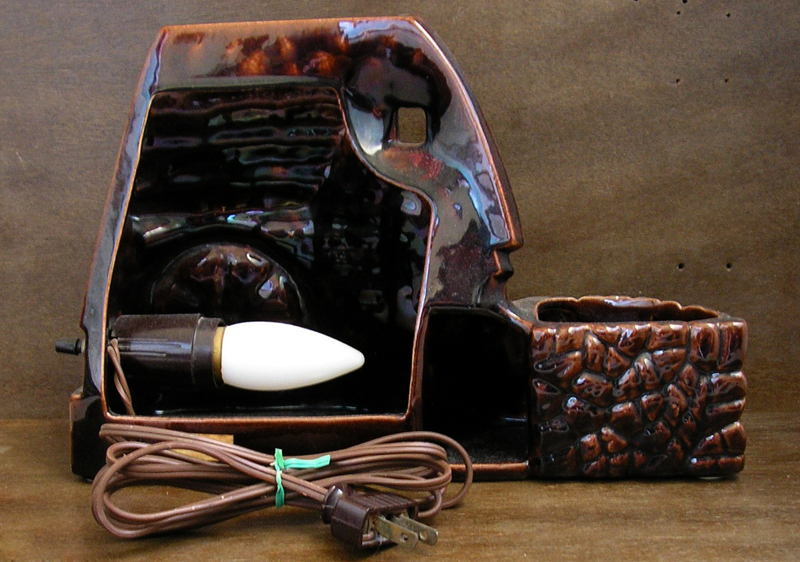 Emphasis was on "art pottery" rather than items that might be described as "department store grade", and it's therefore a little surprising that TV lamps were ever part of their production. In spite of their reputation for quality, the winds of economic change ultimately took their toll. The company was sold in 1957 as a result of the influx of cheaper imported pottery. 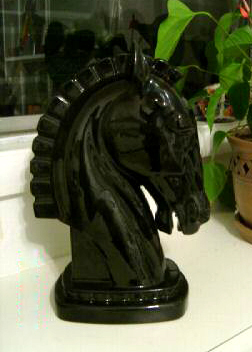 Looking rather like a knight in a game of chess, this horse head by Gonder Ceramic Arts is a tastefully elegant design. Photos courtesy of eBay seller diane824. This might be the only time a seagull has been the subject of a TV lamp! Photo courtesy of Nancy Garneau, Woonsocket, RI. 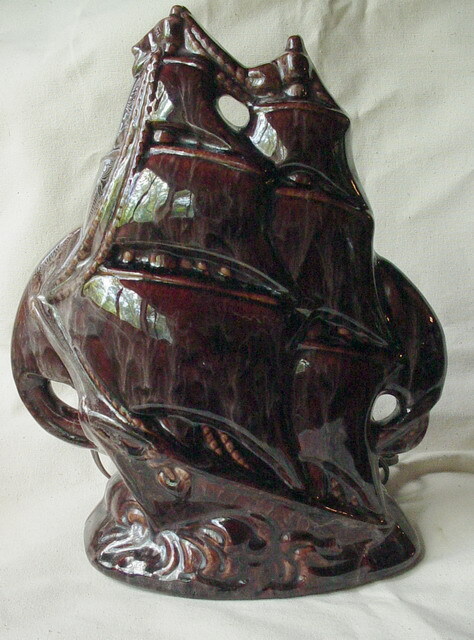 The finish on this Gonder Ship TV lamp is subtle but very nice, with a dark, rich brown overlayed by a lighter drip glaze. 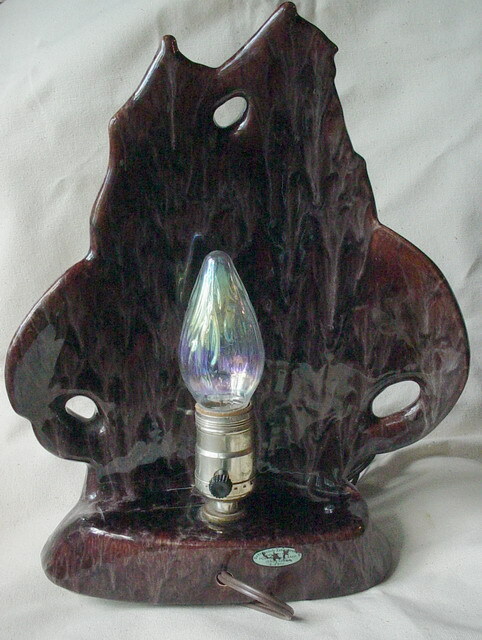 Back view of the Gonder Ship lamp. 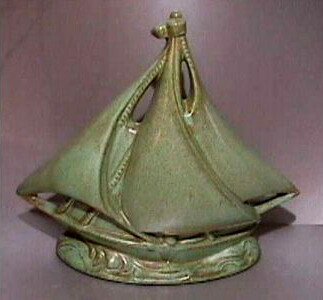 Again on a nautical theme, but this time it's a smaller vessel. 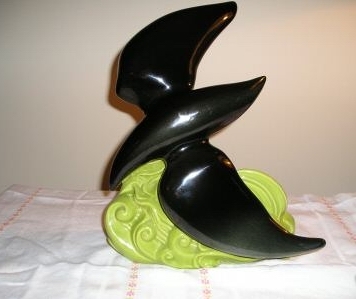 The interesting green glaze (called Rutile Green I believe) was frequently used at Gonder, and the ship TV lamp above can also be found with the finish. 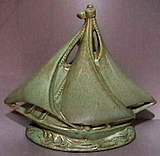 It is reminiscent of the "prairie green" that Frankoma Potteries made so popular. Photo courtesy of Brian from Groveport, Ohio. 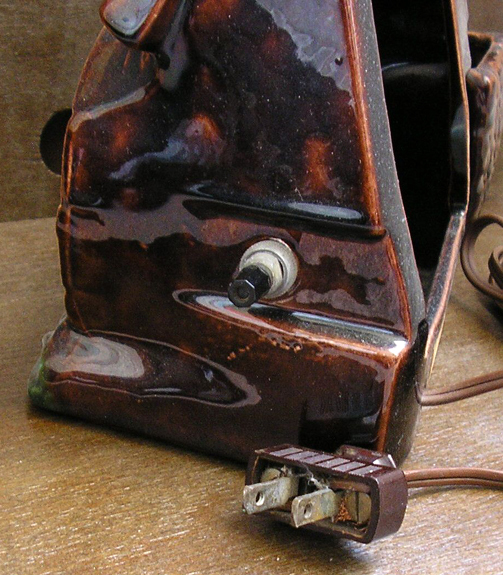 This Bradley Manufacturing "Old Mill" TV lamp was produced for them by Gonder Ceramic Arts. Photos courtesy of an eBayer from Ormond Beach, Florida. 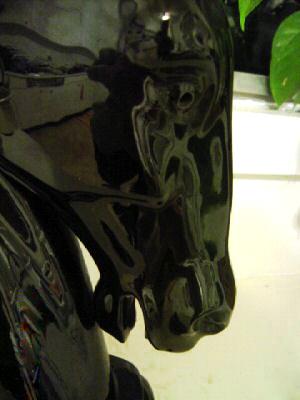 Back view of the Bradley/Gonder old mill TV lamp. Side-view, showing the switch location.